An Academy Award winning film director, screenwriter, and producer, Steven Speilberg’s movie credits include blockbusters such as Indiana Jones, ET, Jurassic Park, Super 8, Schindler’s List, and many more. Speilberg recalls the terror at school of having to go up to the blackboard and spell, or stand up in front of the class to read. He spent much of his time at school daydreaming because he just couldn’t keep up with the work. Imagining and daydreaming are very often part of a dyslexic’s world, and allow for innovation and creative ideas. 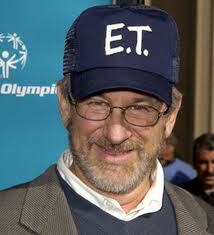 Speilberg turned daydreaming into his wonderful world of movies that millions of people have marvelled at. This was his dyslexic gift. Speilberg has only recently been diagnosed with dyslexia. For him it was such a relief to finally have a reason why he struggled for all those years at school.